Welcome to Abbey Motor Services. Located in the amazing surroundings of Pooley Country Park there is no better place to visit whilst your car undertakes its routine MOT or servics. All customers can have a drink and relax to pass the time instead of looking across the dull industrial estates that so many other MOT garages occupy. Right on the doorstep of Polesworth and only 5 minutes away from Tamworth, our customers keep coming back for their regular garage visits. With the latest in diagnostic equipment and skilled technicians you are in experienced hands that really will go the extra mile to ensure you are satisfied with what can be the second most expensive purchase you will ever make. Prices are extremely competitive and our honest approach we feel is key why our customers stay with us so long. Please feel free to read about what others say and if you have any queries then please contact us. We take the MOT Test very seriously and consider it to be a safety test therefore we DO NOT discount the test fee or use the MOT as a loss leader for marketing purposes. 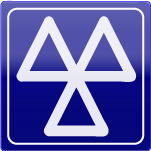 Abbey Motors pride themselves on their MOT tests so book one now. of course you can still pop in to say hello.. Following our simple tips can make the difference between an MOT pass or an MOT fail and save you money and time.